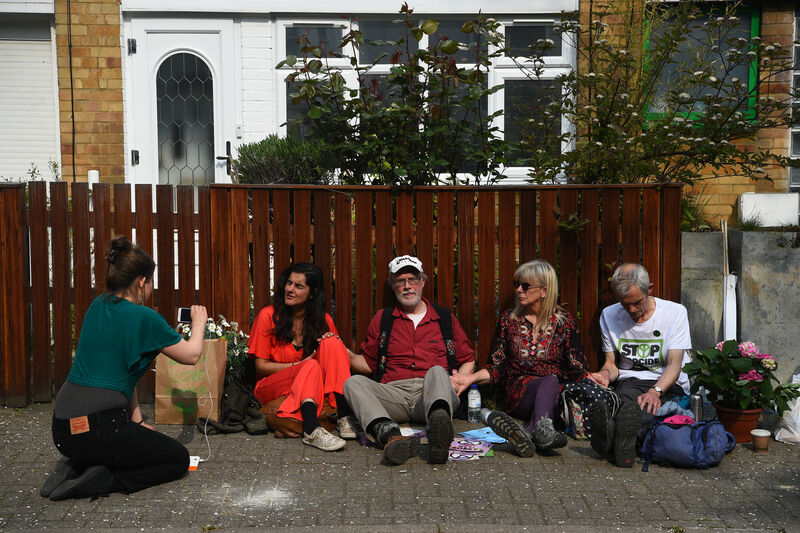 LEFTIE eco-warriors have glued themselves together outside Jeremy Corbyn's house. 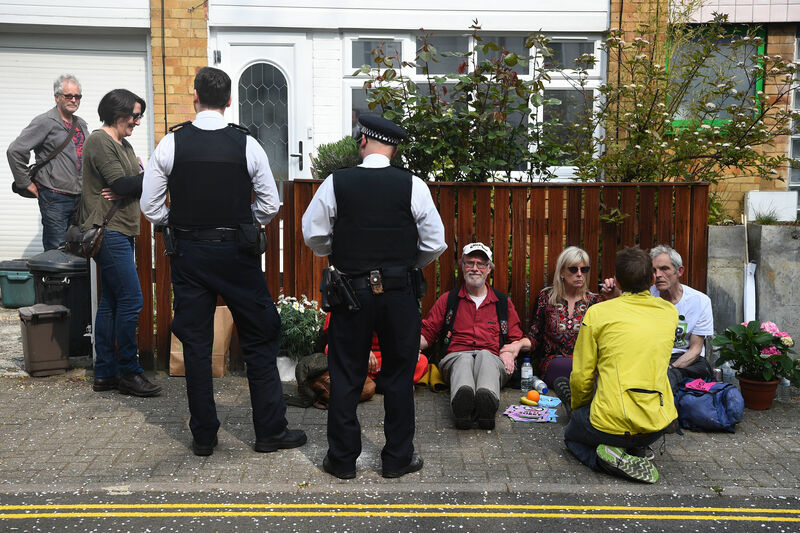 The Labour boss was forced to walk past four climate activists parked themselves up against his property in North London as thousands caused chaos across the capital today. 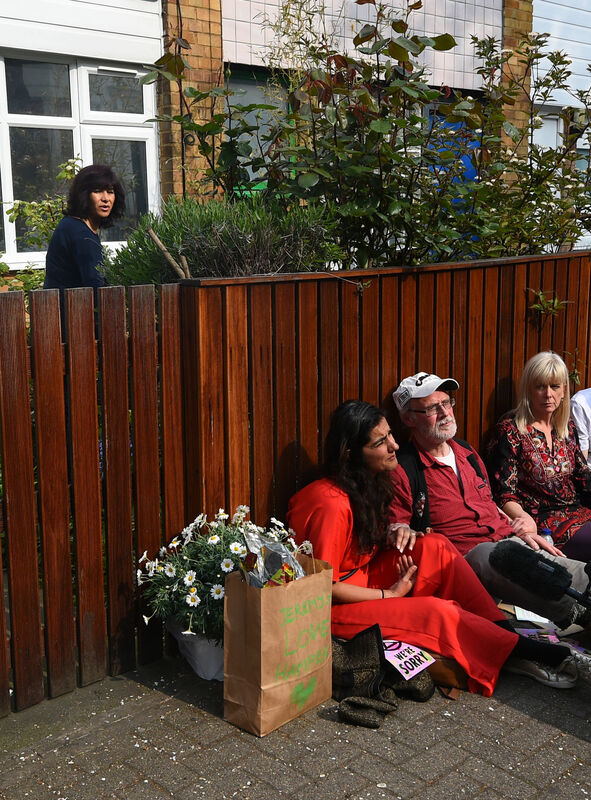 Police officers were snapped talking to the activists this afternoon, and Mr Corbyn's wife Laura also was seen outside the couple's home. 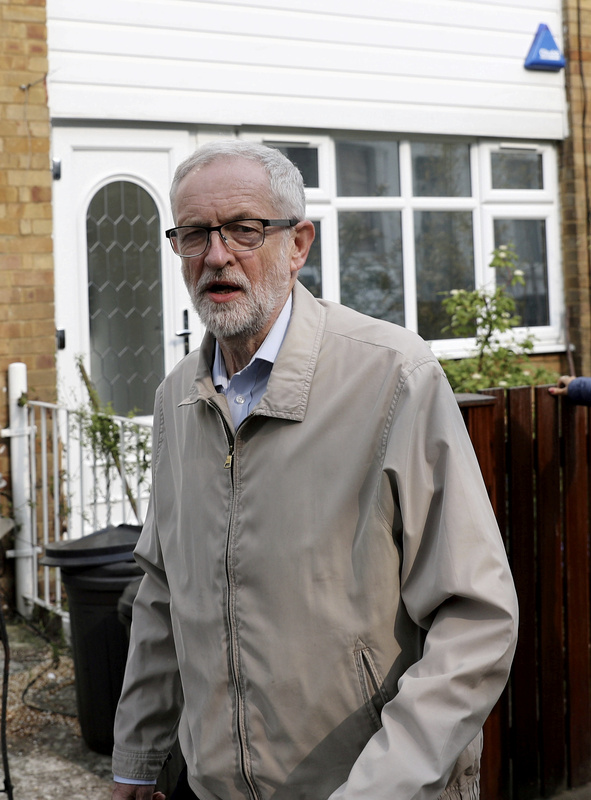 The activists said it was part of a bid to make the Labour boss sit up and take more action on climate change. 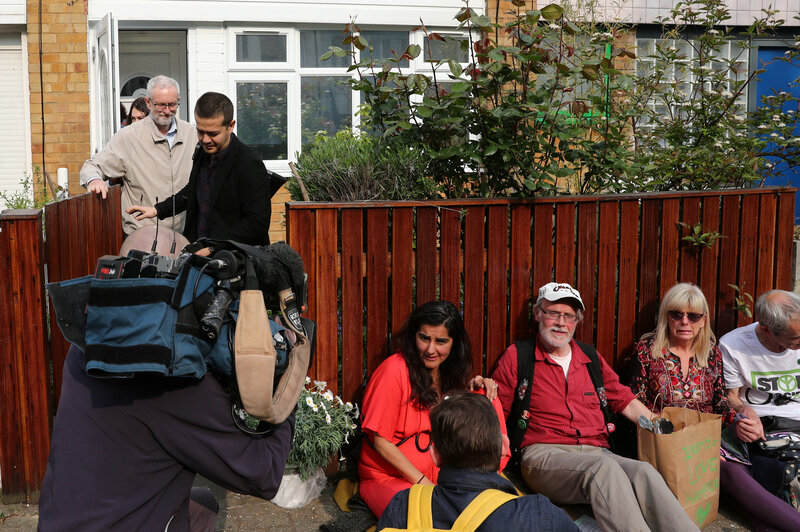 But several of them appeared to be accompanied by plastic bottles, prompting one Labour MP to ask: "Who do all these plastic bottles belong to?" It comes as part of another day of chaos thanks to lefties in the capital who have caused travel shutdowns for thousands. 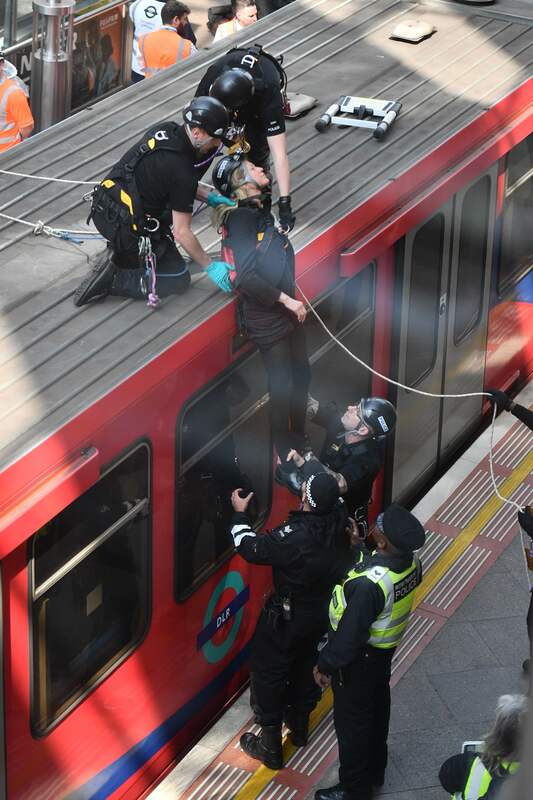 Protesters from Extinction Rebellion glued themselves to the top of a DLR train carriage at Canary Wharf earlier, and there's plans to take action on the tubes too. And thousands are camping out in tents in Oxford Circus, Parliament Square and Waterloo Bridge causing buses for half a million Londoners. 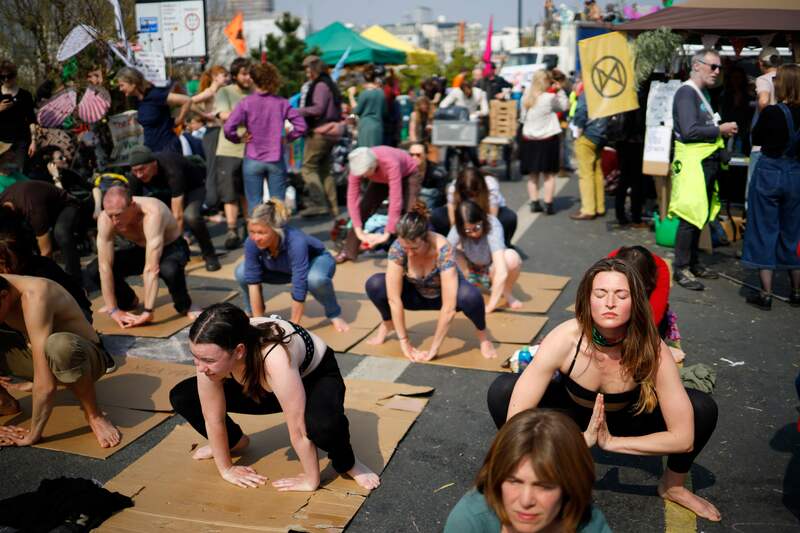 They've held a spontaneous dance, done yoga and sung songs as they've brought central London to a halt. Businesses say it's cost them more than £12million this week, and more disruption is on the way in the coming days. The protectors want the Government to take climate change more seriously and take action to slash carbon emissions which they say will destroy us all. Earlier today one of the posh eco-warriors stormed off out of a live broadcast after Sky presenter Adam Boulton called him "incompetent" and "self indulgent". In a bizarre moment Mr Boardman appeared to become emotional, and his voice broke as he declared how much he cared for the planet. 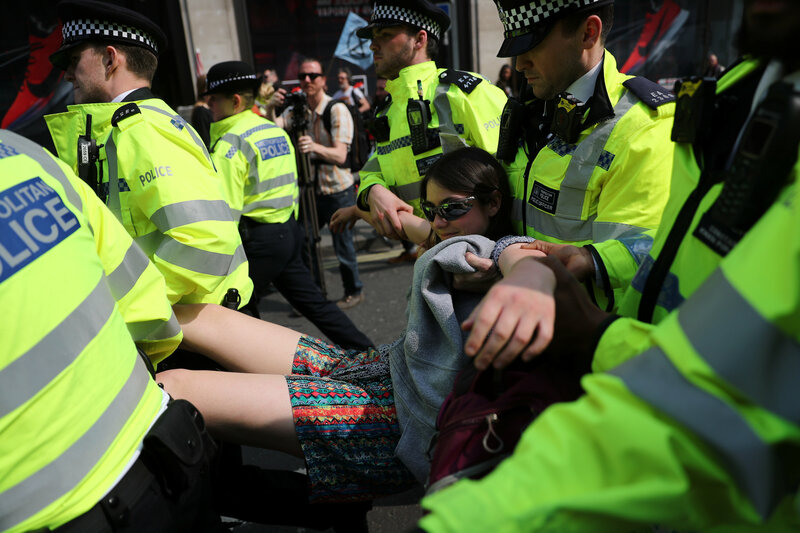 Campaigners said in a statement on the action today: "Participants will peacefully break the law in order to stop the Tube and then will wait to be arrested. "We sincerely apologise to all those who may suffer as a consequence of this disruption. In any other circumstances we would never dream of disrupting the Tube but this is an emergency."